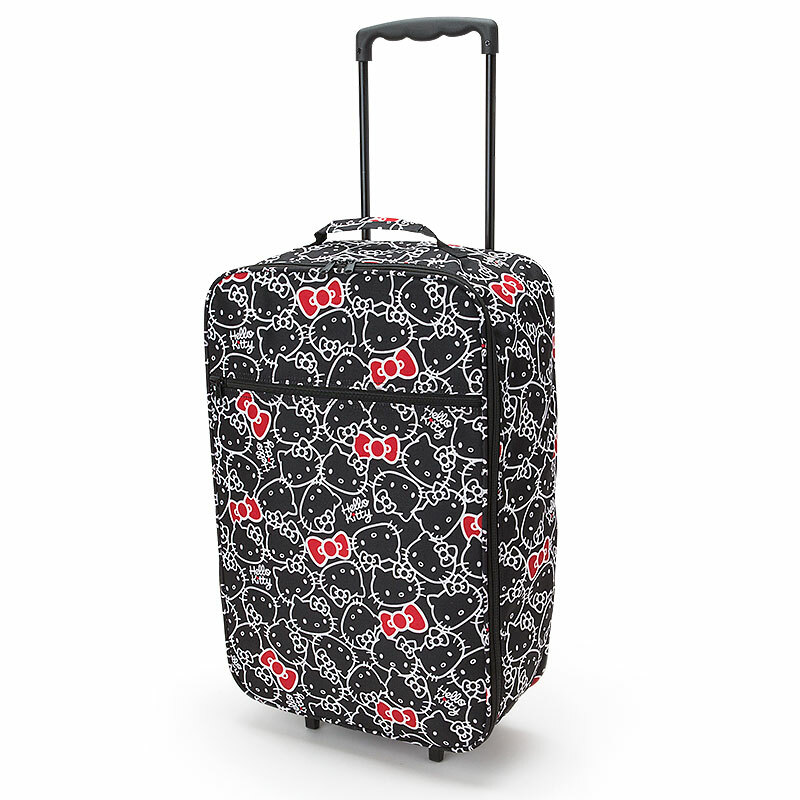 A few years ago, I bought a Hello Kitty luggage thinking it will be of great use for the future. Below is a stock photo of the red Loungefly suitcase. I remembered walking into the Hollywood location and my eyes went straight to this bright red suitcase that had black polka dots. I think I have an attraction to polka dots. For some reason, polka dots give off a fancy feeling that I like so much. Anyways before I get off track, back to the lovely bright red suitcase. I wasn't planning on buying a suitcase. There was a sign that read $99. I was tempted, but I left the store. The thing about kawaii stuff is that it's hard to get it off your mind once your heart has fallen in love. In the end, I returned the next day and purchased the red suitcase on the spot. Last year, I bought another luggage, a very pink My Melody luggage with all the updated new TSA lock. 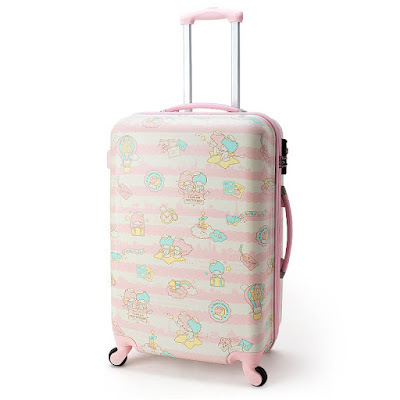 And, this year a pretty Little Twin Stars luggage. 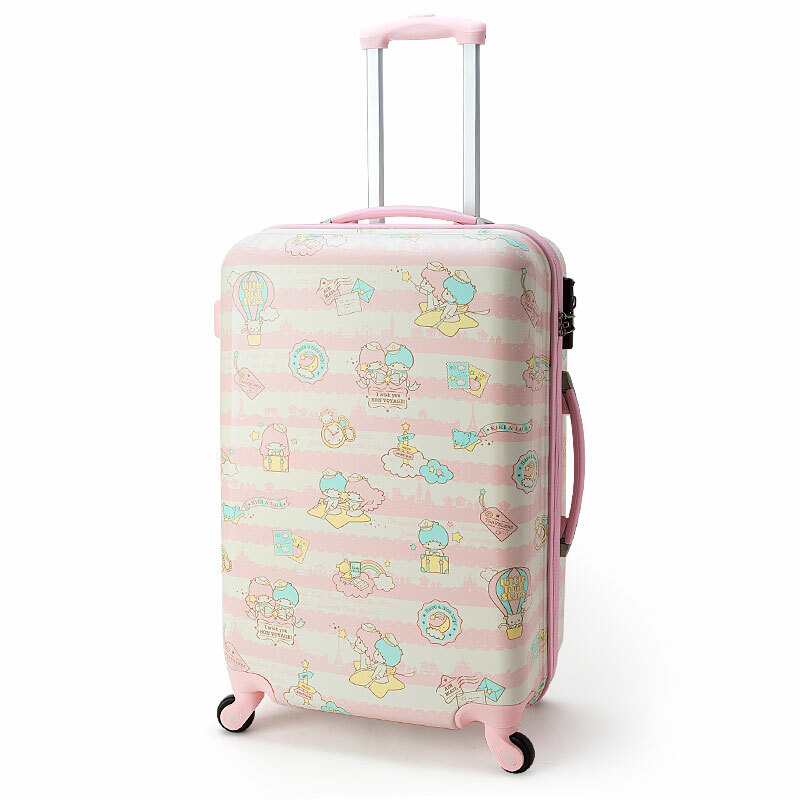 Like the HK suitcase, I loved the design on the pink My Melody. Besides being very pink in color, I don't think it's too flashy, right? It's chic and kawaii -- that's all that matters to me. 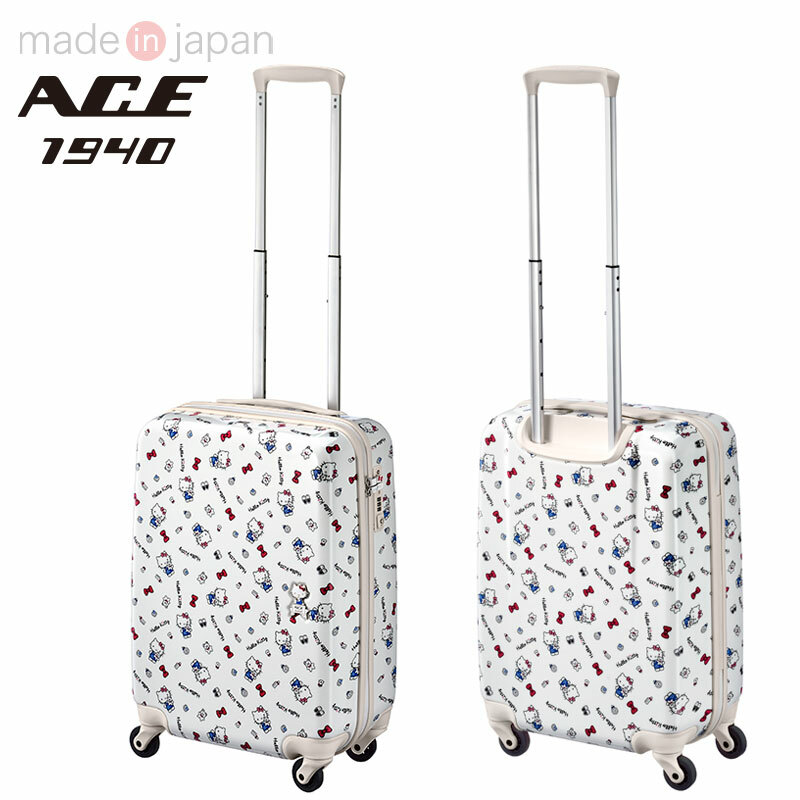 When I bought the Little Twin Stars luggage, I knew that I just had to own it. I'm very selective -- all right, very picky -- on design-wise. This LTS designed luggage was something that I could not pass up. It's to be shipped this week from Japan. When I ordered the LTS luggage, I knew I could only use it for photo ops, moving occasions, and traveling by car. 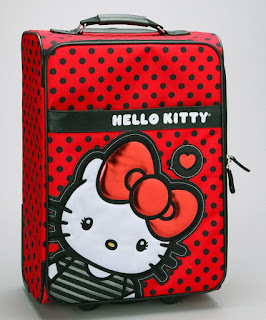 I knew that I could not check this sweet luggage into the Airport unless I plan to never see it again. Unfortunately, the harsh truth is that we have a lot of dishonest people out there. 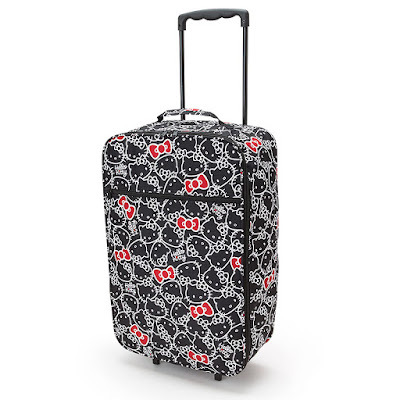 Something cute as this suitcase will most likely get stolen. 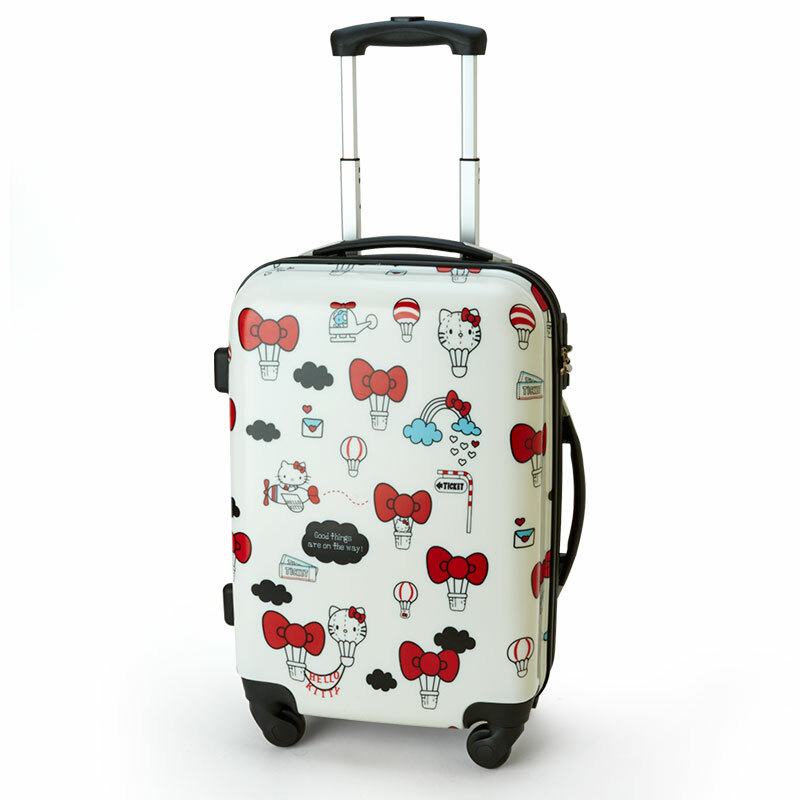 The best tip is to only bring a cute character luggage as a carry on item. It is the only way to ensure that it will not get stolen since it won't leave your sight. If you read my earlier blog posts, I am still planning for my overseas trip to Japan. It's been delayed to next year. I believed I was safe and that I had a cute carry on suitcase, until I researched the size restrictions. 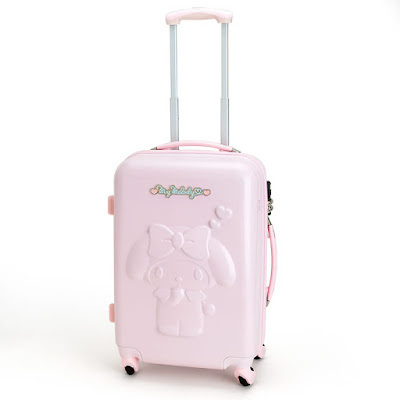 Only to learn later that the small red Hello Kitty luggage and as well as my pink My Melody luggage don't meet the TSA size restrictions for carry on luggages. 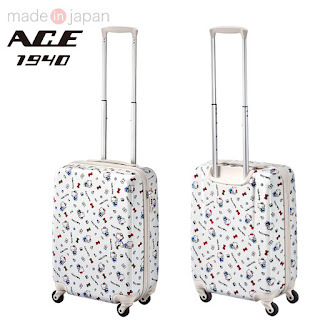 It would be best to check with your airlines first before selecting any cute luggages. Unfortunately, this means I have to go searching for another small suitcase that will fit my design requirements. As for now, I have not yet found one that I love. Although, here is one that might pass or fail to fit in the overhead space. Well, I'm not exactly in a hurry to choose one anytime soon. I have next year to decide on one.